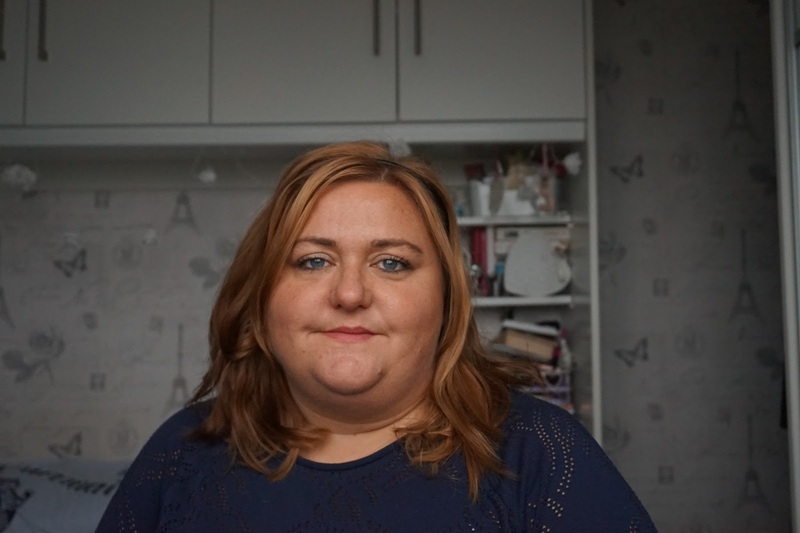 Last Saturday I went to Meadowhall in Sheffield to meet up with 16 (I'm not sure I didn't count) other Plus Size Bloggers for a day of shopping, laughter and fun. 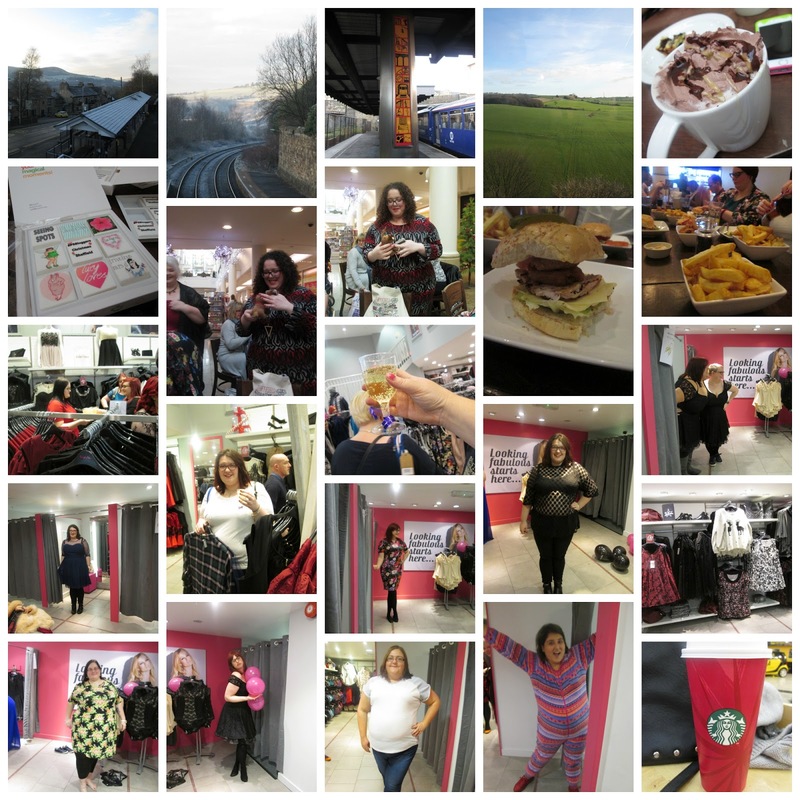 I took so many photo's and I've put my favourite into a collage but will try and remember to create an album on facebook. It was a cold and frosty morning but how beautiful does it make my local station look? I was intrigued by the orange train sign at Huddersfield. Does anyone know anything about it? We'd arranged to meet at Starbucks and I arrived to the lovely and welcoming faces of Rebs, Lolly and her friend Jen. I often have this fear that I'm not welcome. I go to some events and don't talk to anyone or end up on my own (this is getting less and less) but when I meet up with this bunch I never feel like that. Once the majority of people had arrived Jane presented Leah with a little gift from all of us to say thank you for organising the meet up and putting together an amazing a goodie bag. More about that later. We then split off into smaller groups to get lunch as it seemed like it would be a challenge to get a table for us all. I went to The Handmade Burger Company with. Rebs, Lolly, Jen and Beth. It was pretty good and the chips were amazing. We then headed over to Simply Be. Georgina had spoken to them and they arranged for us to have some bubbly, a VIP changing rooms and a goodie bag with some simply be perfume and other bits and pieces. We spent such a long time in there trying things on and having lots of giggles. I then managed to lose most people. I went to a couple of other shops with Lolly and Jen and then after a quick brew I headed back to the trains station. I had no phone signal to contact anyone and I was a bit overwhelmed so it was the right choice for me.